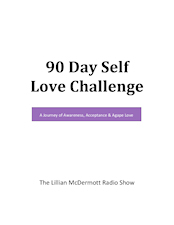 Week of 5-21-18, on The Lillian McDermott Radio Show! I’m still on cloud 9 after celebrating the 7th Anniversary of The Lillian McDermott Radio Show on last Monday’s show… I am so grateful! The day before the show, my husband was cleaning the sink with a strong detergent and, just from me walking by and breathing in the fumes, it caused a reaction. Right after the show on Monday, I noticed that my voice was sounding a little hoarse. By the end of that day, my voice was gone. I took Oreganol and I sucked on garlic. But the toxins claimed the rest of my voice box. So, what better place to learn new ways to heal than at the “Answers For Cancer Summit,” which I attended on the last three days of the week. I am looking forward to sharing some of these wonderful lessons with you. And I am so grateful that my voice is back! Like a kid in a “candy” store… Below are some of my highlights! The reason for “Answers For Cancer” Summit… Annie Brandt! As a reminder, please mark your calendars to join us at our next Healthy Eating And Living “H.E.A.L.” Tribe meeting. For the First Coast it is on 5/23/18. For the Space Coast, our meeting will be on 5/30/18. PLEASE RSVP, ASAP! I am still excited about all last week’s shows… Such great inspirational people who touched my life. I hope you enjoyed them as well. If you missed listening to any of last week’s shows, there are two ways you can still listen. They are updated daily to our website (Click Here to listen) and you can go YouTube, Apple Podcasts, Google Play Music, Spotify, or iHeartRadio. Search for “Lillian McDermott,” and listen to the podcasted shows, commercial free, at your leisure (Click Here to learn more). Let’s continue to Grow Together! Monday, 5-21-18 ~ Do you want to H.E.A.L.? Then join our Healthy Eating And Living Tribe. The next meeting for the First Coast is 5/23/18 and for the Space Coast, it is 5/30/18. Joining me to share about these events is Safura Osmani of the Jax Vegan Couple. We will discuss how we are taking our health back! Tuesday, 5-22-18 ~ Have you had your G-BOMBS today? If you haven’t, you will want to after our show. World Renowned, New York Times Best-Selling Author, Dr. Joel Fuhrman, will teach us how to achieve moderate caloric restriction. He will also teach us the secret to slow aging and extending life. We will be giving away his book, “The End of Dieting”! Wednesday, 5-23-18 ~ If you think that getting older means becoming sick, out of shape, or irrelevant, then make the choice towards health! Tim Ray, founder of United Intentions, and I will discuss how we can “Get Our Lives Back NOW! Thursday, 5-24-18 ~ Brooke Goldner, MD, was featured in the documentary, “Eating You Alive.” She is not only as a wonderful doctor, but she is a patient as well. Dr. Goldner will share how changing her lifestyle changed her life and reversed her diagnosis of lupus. Saturday, 5-26-18 ~Elyn Jacobs is a two-time breast cancer survivor who refused to heal her body in the conventional way. Elyn will share her journey and why she is a certified cancer coach and strategist who helps others through their cancer diagnosis. On Demand: Just click… Apple Podcasts, Google Play Music, Spotify, or iHeartRadio! On May 20, 2018 / What is Happening Weekly?